Why is our app better than other apps? # We keep improving Earthquake+ all the time, so you get more and more features. We have added many features over past 2 years and with your feedback we have made Earthquake+ THE BEST earthquake app in the world! # You can register many places of interest to receive FREE push notifications for the selected locations. You can add locations by searching them by name on Alerts screen or by touching and holding the map. 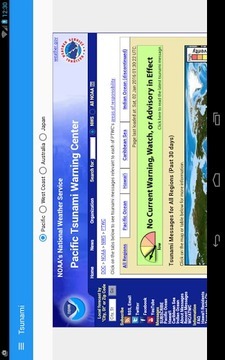 # The only app in the store to display volcanic activity. 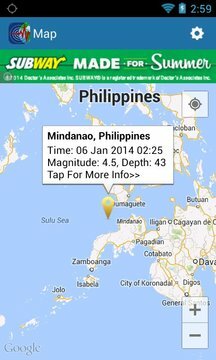 Show active volcanoes by turning on this option via Map | Settings | Map Options screen. 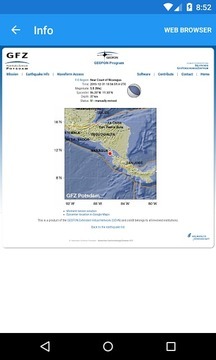 There is a connection between earthquakes and volcanoes, we would like our users to be aware of not only seismic, but also volcanic activity in their region. 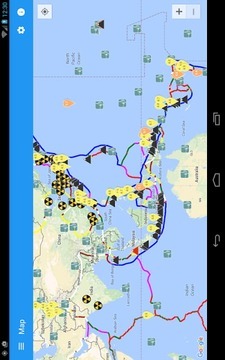 # One of a few apps to display tectonic plates boundaries (via Map | Settings | Map Options). See where the tectonic plates are rubbing each other - maybe this is in your backyard! 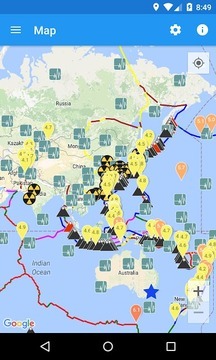 # The only app in the store to show nuclear power plants (via Map | Settings | Map Options). Interested if there are any nuclear plants where the last earthquake hit? Check it out now! 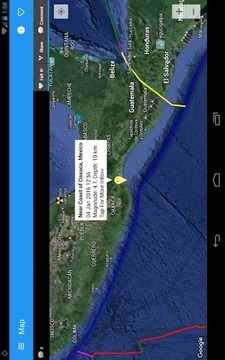 # The only app in the store to display seismic stations (via Map | Settings | Map Options). Want to know where the stations collecting the seismic data are? Easy with Earthquake+! - British Geological Survey (BGS). No matter what locations of interest you chose there will be an up-to-date earthquake data for you. If your native language is not English, but Spanish, Italian, German, French or Russian, we have translated the app so you can navigate it with ease. If your have a tablet, we made our app work on larger screen for you to have a bigger map so you can see more earthquakes at once. 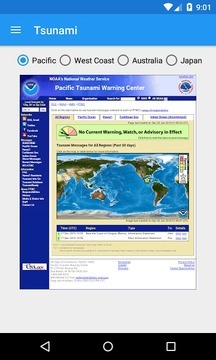 Be social - let other people know about earthquakes! 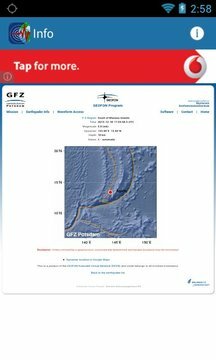 You can comment on an event, share it or mark it as "Felt" to let your friends and relatives know you are OK.
You can switch between Standard, Satellite and Hybrid maps to see where exactly the earthquake's epicentre was. 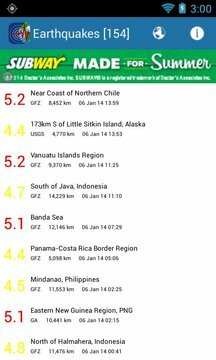 # The app shows the list and the map of all noticeable (magnitude 4.0 and above) earthquakes for the whole world and of any earthquake activity for your locations of interest. 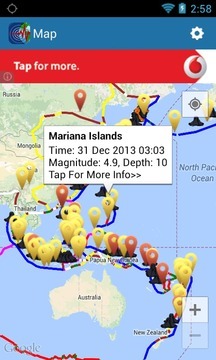 If you missed an alert you will be able to see recent earthquakes and their details. # You can customize search filter or alert settings (available via in-app-purchase) to make the app even more useful. 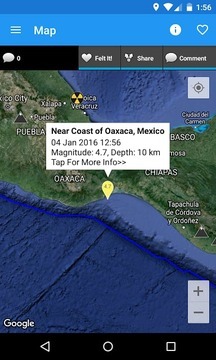 If you do not want to see too many earthquakes or receive too many alerts you can easily change this. # You can sort the list of recent earthquakes by Date, Magnitude, Distance or Depth. If you want to look at the strongest or the closest earthquakes for the past week - you can easily do it! # Added back social bar to the earthquake map screen.